Food Bluz puts BTC City Ljubljana on the map of top European food destinations • BTC d.d. 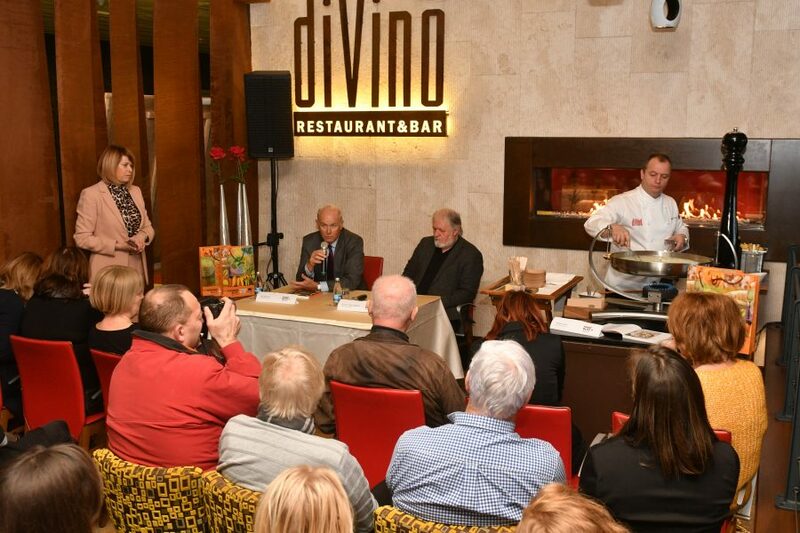 Today, restaurant diVino in BTC City Ljubljana saw the presentation of the book Food Bluz: Taste Varieties, Meet New Friends. 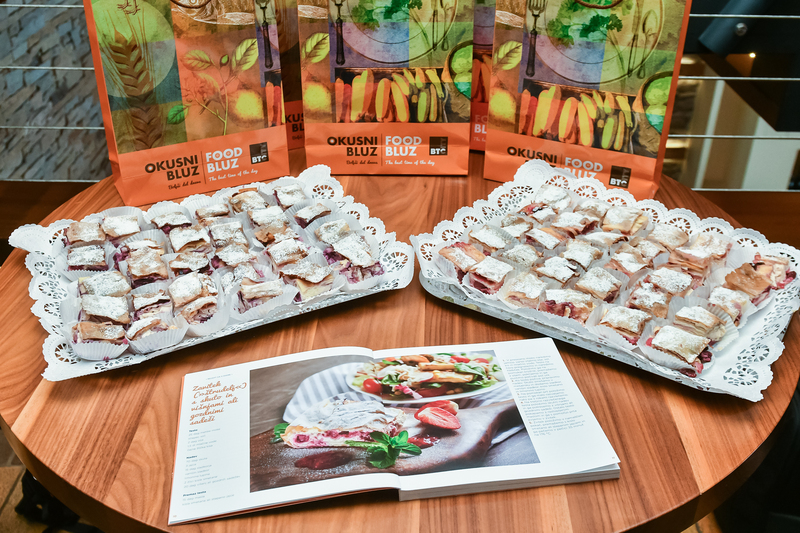 The book came about as a result of the collaboration between the BTC Company and prof. dr. Janez Bogataj, and is designed as a food guide for all the visitors of BTC City Ljubljana who want to discover the rich cuisine marketed under the brand Food Bluz. In addition, the shopping centre BTC City Ljubljana is the first to present its offer as part of the project European Region of Gastronomy 2021. With this step, BTC City Ljubljana has further strengthened its position as an increasingly popular tourist destination. Each and every day, visitors to BTC City Ljubljana can not only enjoy local dishes but also immerse themselves in the adventurous flavours of cuisines from all over the world. They can stop for a quick snack while ticking off items on their to-do lists, or treat themselves to a delectable experience à la carte in one of the selected restaurants. They can settle down at one spot for a relaxed meeting with friends accompanied by trendy food, or stroll about the BTC City Market while thinking about their next home-cooked creation. More than 70 food vendors in BTC City Ljubljana, who have been united under the common brand name Food Bluz since 2017, will provide even the most demanding of customers with a charmingly perfect culinary experience. 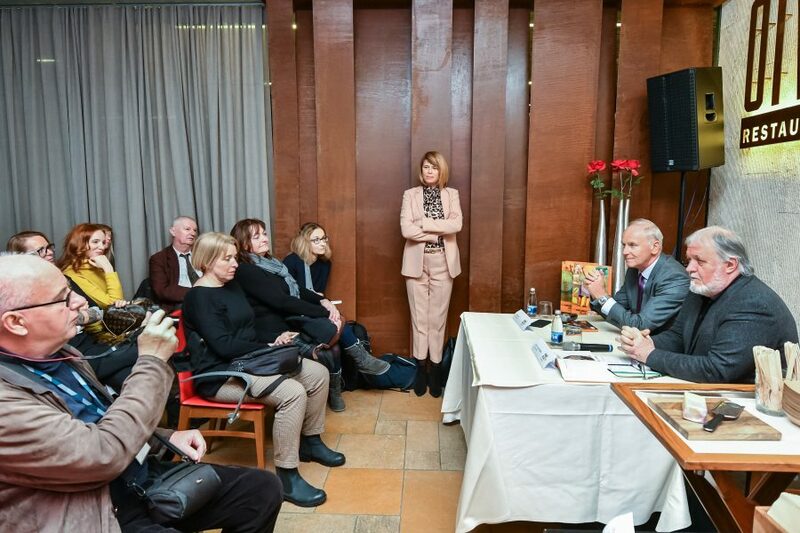 One of the results of the effort to present BTC City as an attractive food destination is the book Food Bluz, which was today introduced to the general public. 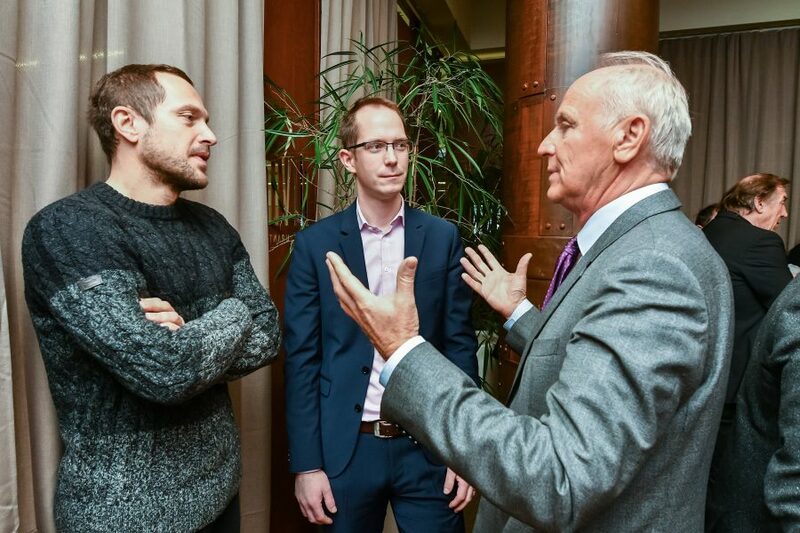 On this occasion, Jože Mermal, President of the BTC Management Board, said: “When I joined BTC 40 years ago, my food options were limited to one cafeteria. Today, there are more than 70 food vendors in the area. In order to unite all the food and dining vendors in BTC City Ljubljana under a single brand and position BTC City as an outstanding food destination, we have created the brand name Food Bluz. 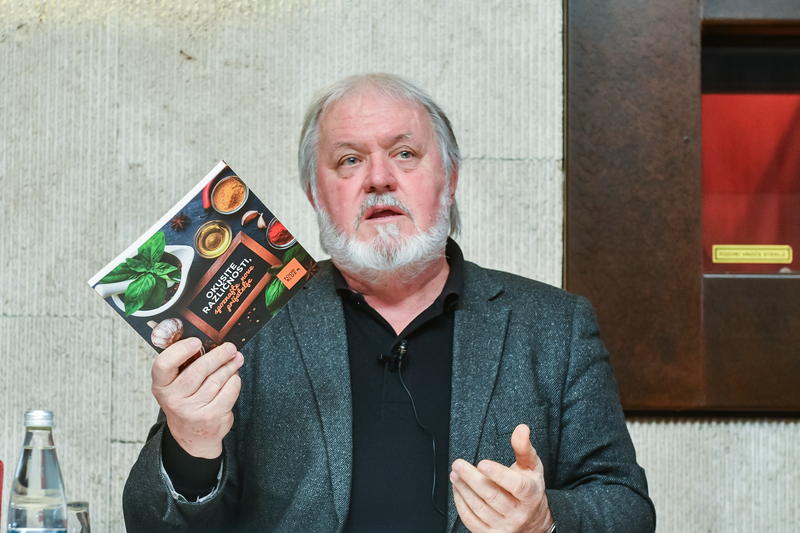 At the very beginning, we joined forces with renowned expert prof. dr. Janez Bogataj, who helped us prepare our strategy and put together the book Food Bluz: Taste Varieties, Meet New Friends”. 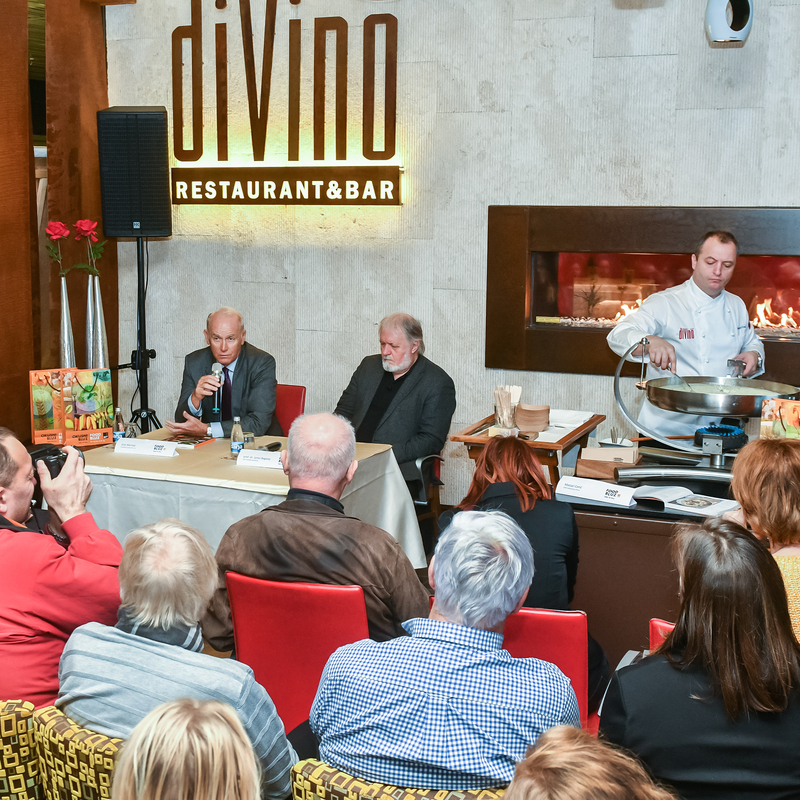 The audience was wowed by top chef, main chef at restaurant diVino, and world pasta vice-champion Matjaž Cotič. In a true culinary performance right there and then, he prepared delicious Istrian fusi (fuži in Slovenian) according to the recipe published in the Food Bluz book. After the event, he said: “BTC City acts as a culinary nexus of many cultures, including ours. 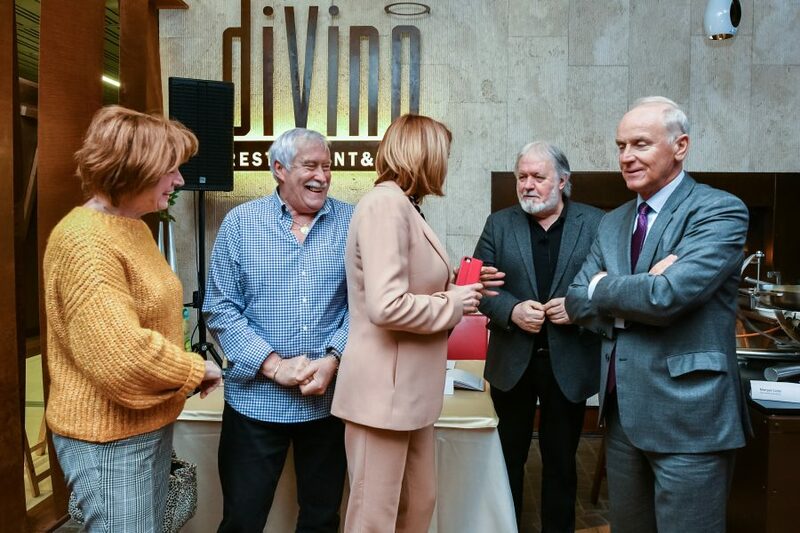 I come from the Vipava Valley and the owners of restaurant diVino from the Brda region, so we quickly found common ground. In my kitchen we emphasise Mediterranean flavours, and our guests can enjoy Mediterranean food made from locally sourced ingredients. The project Food Bluz will bring many exciting activities to BTC City Ljubljana this year. Six thematic weeks are planned in cooperation with food vendors in the area, in addition to six trade fairs at the BTC City Market, and a special week devoted to cuisine in the second half of September, which will give vendors an opportunity to spoil guests with their specialities. A number of culinary tips and delicious recipes will also be published on the BTC City website and through BTC City’s other channels. BTC City Ljubljana is annually visited by 21 million people, not only from Ljubljana and its surroundings but also from many other countries worldwide. Tourists, in particular, discover here a well-rounded tourism-oriented milieu. Such shopping tourism is a part of the strategy of the Slovenian Tourist Board, a strategy that has been co-shaped by BTC. 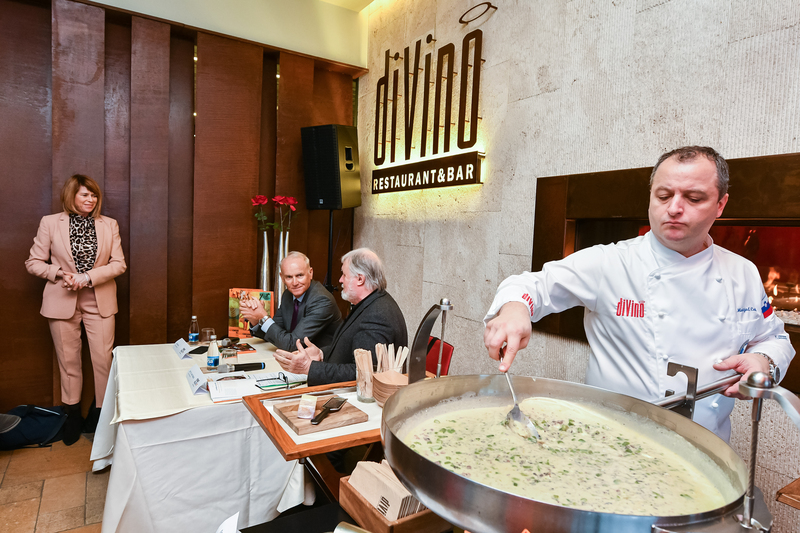 In order to effectively address foreign as well as domestic visitors coming to Ljubljana, BTC has additionally partnered with Ljubljana Tourism and the Slovenian Tourist Board in the projects The Tastes of Slovenia, The Tastes of Ljubljana, and Ljubljana Gourmet. BTC City Ljubljana contributes considerably to the cuisine available to tourists and others in the city of Ljubljana, and is at the same time a significant member of the project European Region of Gastronomy 2021 (ERG). ERG is a project undertaken by 20 partners, among which BTC City Ljubljana is the first shopping centre to highlight its culinary offerings. The title European Region of Gastronomy is of extraordinary importance for Slovenian tourism. 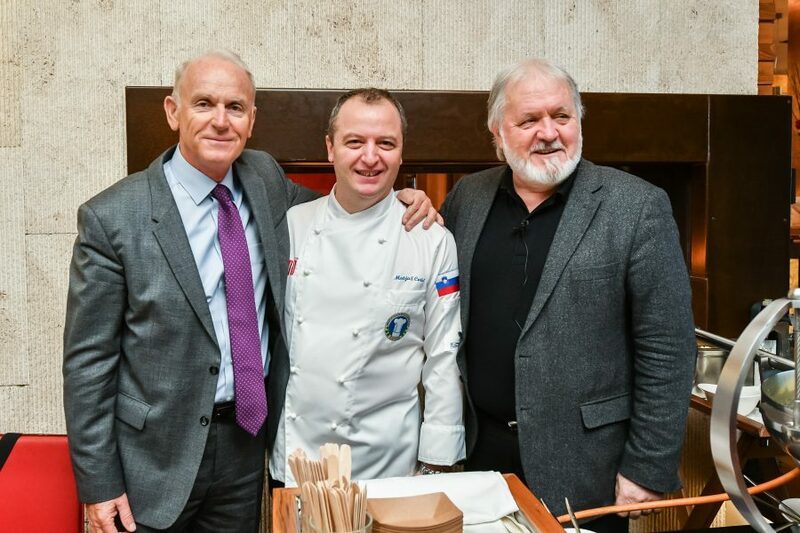 To all those involved in supply and promotion in the catering industry, it signifies another stepping stone on the way to Slovenia becoming a unique world-renowned foodie destination, capable of delivering boutique 5-star experiences. 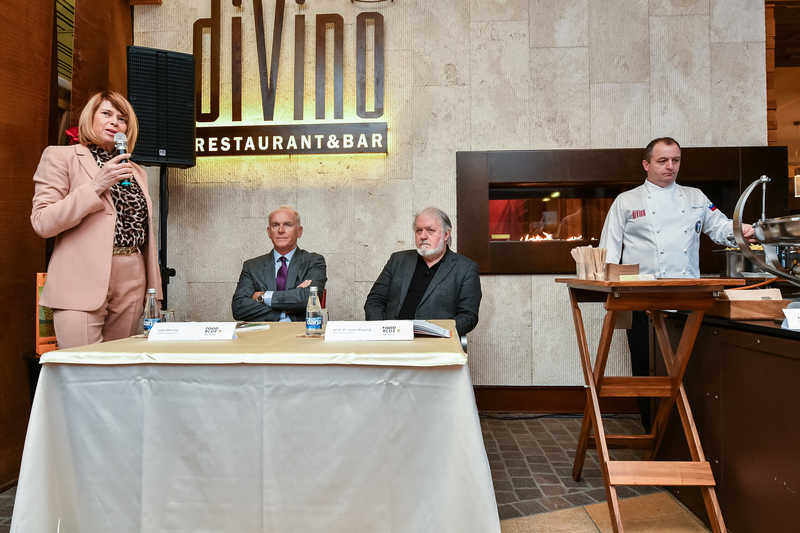 Another part of the ERG 2021 project is the continuous effort to raise the quality of life in our region and improve healthy food options in the catering industry. 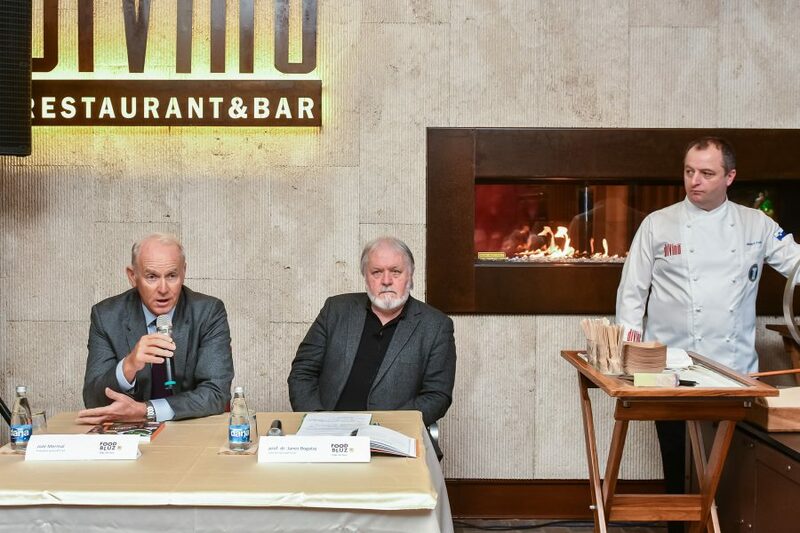 The project is focused on highlighting unique cuisines, educating the public on a healthier and more sustainable lifestyle, encouraging innovation in the catering industry, and fostering deeper inter-sectoral integration.